Democrats hoping for – or at least intrigued by – a potential Presidential run by former Texas Congressman Beto O’Rourke gathered in Concord Wednesday. The Draft Beto campaign launched on the heels of O’Rourke’s loss to Ted Cruz in a Texas U.S. Senate race. The loss was closer than expected. O’Rourke’s message of uplift and his social media skill helped him raise $78 million. 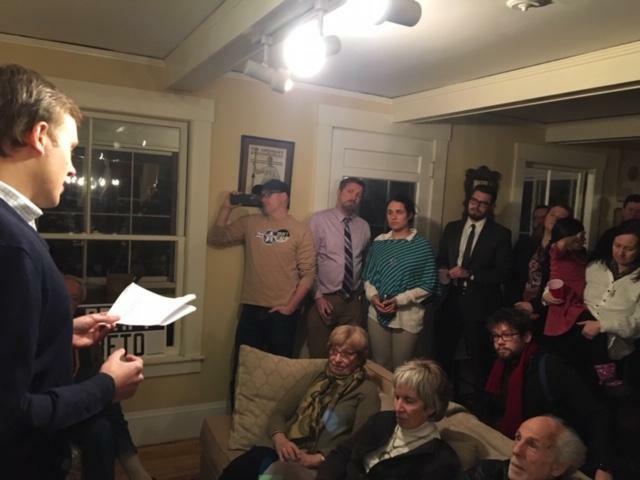 In Concord, the Draft Beto event was held at the home of Concord lawyer Jay Surdukowski. 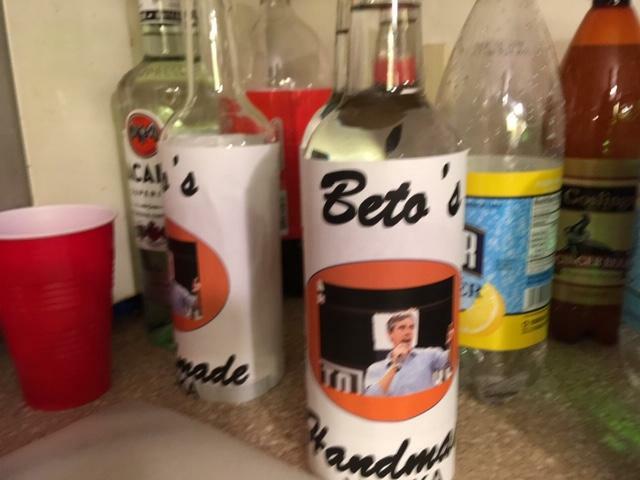 Attendees could sip Beto Beer – Bud Light – or tipple Beto’s vodka – bottles of Tito’s plastered with O’Rourke’s face -- as a Draft Beto organizer read from an O’Rourke’s Medium post. The full house of young (and not so young) activists speculated on the former Texas congressman's political future, and handicapped the still embryonic 2020 Democratic primary. Carlos Cardona is chairman of the Laconia Democrats. O’Rourke is scheduled to be interviewed by Oprah Winfrey on February 5th. Plenty in this room said they hope he signals his 2020 intentions then. 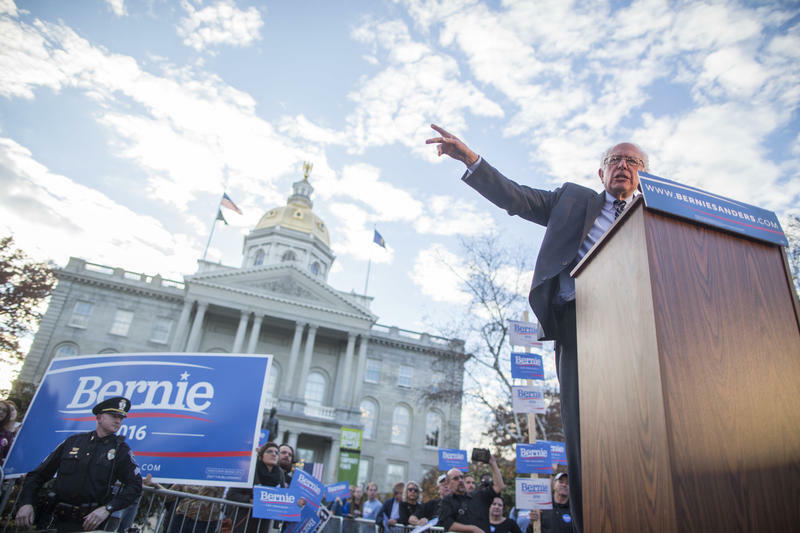 In the spring of 2015, before Bernie Sanders had a campaign office in New Hampshire, Elizabeth Ropp, an acupuncturist, was making homemade signs for the Vermont senator. "Bernie inspired me because as somebody who's lived without health insurance for most of my adult life, I want there to be a single-payer health care system," she said. She was disappointed Sanders wasn't the nominee and is convinced that if he had been, Donald Trump would not be president. "I want to see Bernie run again in 2020," said Ropp. "We need Bernie to run even if the field is crowded." In Manchester, New Hampshire, former New York City mayor Michael Bloomberg told a packed room at St. Anselm College that President Trump was a failure in business and is a failure in government. Lawmakers in Concord are again considering legislation that would require presidential candidates running in New Hampshire’s primary to release five years of income tax returns. The bill is sponsored by two Seacoast Democrats, including David Meuse, who told the House Election Law Committee on Tuesday that voters would benefit from increased transparency.